Milan have made a lot of moves on the market so far, so it’s time to think about how they’re going to play next season. 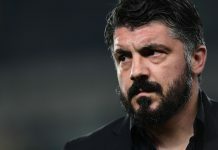 New sporting director Massimiliano Mirabelli and new CEO Marco Fassone have hit the ground securing ten signings with the latest addition being former Juventus player Leonardo Bonucci, who is arguably Milan’s top recruit. Bonucci is widely regarded as one of the best defenders in the world, and Fassone and Mirabelli took advantage of the player’s broken relationship with Allegri, to bring him on. 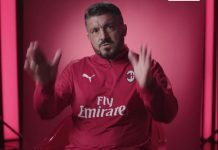 So, after Bonucci signed a five-year deal with the Milanese club and with the others recruits aboard, the question is: how will Montella line Milan on the pitch? 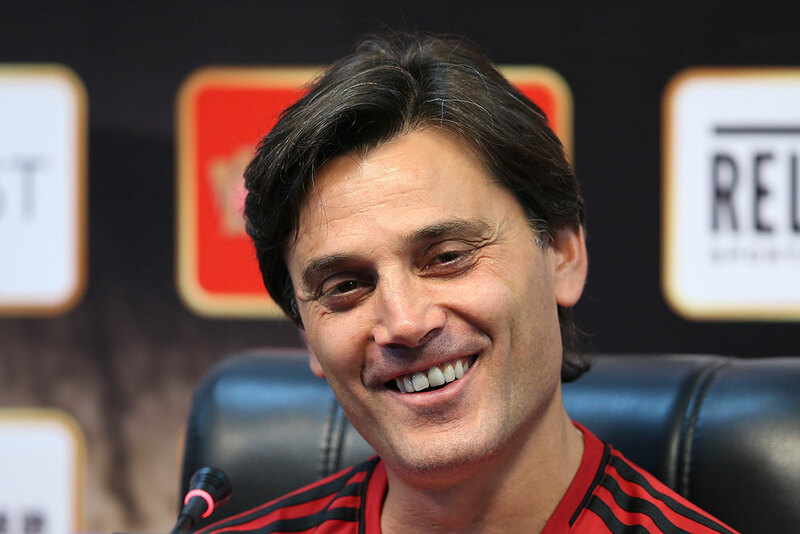 Montella favored a 4-3-3 formation last campaign with Suso and the now departed Gerard Deulofeu on the flanks. Sticking with this old formation is probably the obvious option. 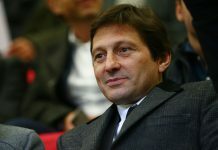 But Milan’s boss flirted with 3-5-2, the formation he ran during his time at Fiorentina and the line-up with which the team performed well at Atalanta in the game that helped Milan get the point that brought them back in Europe. So, Milan’s footballers aren’t unfamiliar with this playing formation and they have now enough central defenders to play with a 3-men line. Then, in Bonucci they bought a player that fits perfectly in a 3-men line. 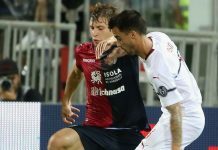 Although Paletta (and perhaps also Zapata) is set to leave, Montella still has the young Romagnoli and the newly acquired Musacchio knowing well how to play alongside a sweeper. On the flanks, Ricardo Rodriguez and Andrea Conti fit perfectly in a 5-men midfield being both able to provide width and the needed number of crosses. 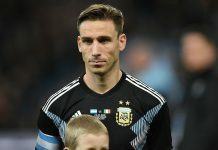 And with Argentine Lucas Biglia also signing, Milan get a player replacing Riccardo Montolivo. 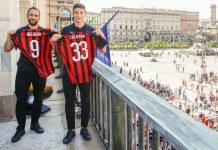 Montella wanted a playmaker to stepping in the place of the team’s captain and mentor Manuel Locatelli, and he gets his man in the former Biancoceleste regista. Biglia will bring on his high passing skills operating at the base of midfield. The big question mark remaining is about the other central midfielders. 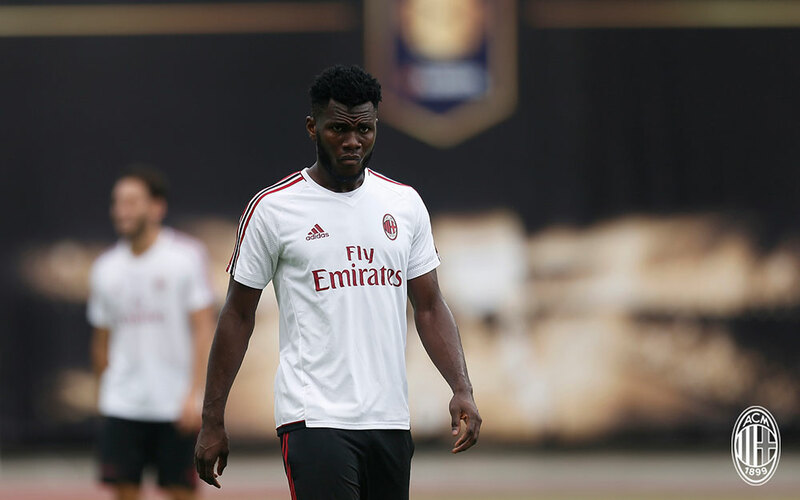 Franck Kessié should be used as right-sided box-to-box central midfielder, a spot from where he will provide his classic runs. The left-sided central midfielder spot, however, remains to be assigned. With Hakan Çalhanoğlu signing, the former Bayer Leverkusen player could be lined up at the left-sided position in midfield providing creativity and passing. 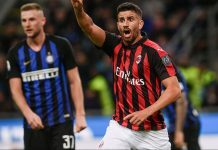 But even Bonaventura (notably the best team’s player last season) could play there so he could share playing time with the Turkish international. But with Montella favoring talented guys and with his attacking philosophy he could still line up both Çalhanoğlu and Bonaventura. It could happen by switching the 3-5-2 into a kind of 3-5-1-1 with Jack as left-sided midfielder and with Çalhanoğlu as attacking midfielder behind a lone forward. Another scenario could lead Montella lining up a more creative and offensive 3-4-2-1 system. It would be an interesting choice with both Bonaventura and Çalhanoğlu as No. 10’s, in an attempt to mirror last season Paulo Sousa’s Fiorentina. Both Bonaventura and Çalhanoğlu could fill this spot well with each one occupying their respective half-spaces. Although it could represent an intriguing idea, Biglia and Kessié might become not really useful in a 3-4-2-1 due to their limited ability to work as central midfielders in a 2-men midfield. Lucas isn’t accustomed to play as mezzala while Franck could be forced to limit his powerful central attacks. 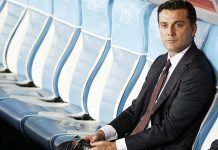 In the end, Montella will have some work to do but he has many options should he mold his new roster into a three-man defense side. With the current players a 3-5-1-1 or 3-4-2-1 will work with Andre Silva as the lone striker. I honestly don’t believe that the 4-3-3 will work. If we sign Abameyang or Belotti then a 3-5-2. Where the hell will suso play? idk how are we going to manage the line-up when a new striker arrives. if Aubameyang or Belotti arrive we don’t have enough strikers to play 3-5-2. having Borini and Curtone as sole subsitutions is frightening as none will be able to fully replace Silva and our new arrival. benching Silva to play 3-4-2-1 is also kinda strange 38M for a sub, yeah i don’t think so. 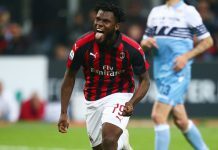 Swap Kessié position with Biglia and we’re good. Dont be surprised that we used 38M to sign a sub and a potential superstar. Take Bayern, signed Renato Sanches for 40m+40m installments. Thats total 80m euro. and he is a bench player for them. But that dont mean he is not worth the money. They need time. We need someone who can put in goals game after game a consistent striker that Andre can learn from. We need 20+ goal striker that can handle the pressure. I dont think its healthy to put that kind of pressure on a 20 year old. alternative would be to keep bacca. Who do you think Suso, Bona, Borini and Chanhaglou (mostly he’s a CAM, but still) are? 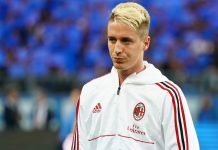 that’s the thing; throughout the year i’ve rarely seen Milan deploy lone striker, until recent years (Ibra, Bacca),and we know how it went… too risky and from my observation, it’ll gonna put the strikers in a very hostile and frustrating situation most of the time, resulting in declining morality and form. 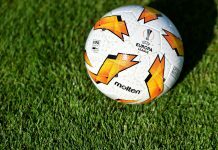 @jamario, in as much as I agreed to your post, let support the coach and remove doubtness for now, and don’t worry the team will do great this season.. I concur Milan should go for auba his pace and goal sense gonna put Milan through. Milan is back!!! I feel Ancelotti’s Christmas tree formation will be excellent. Defensively, we would be unbreakable. Attack front, we can incorporate all of them. Suso can be introduced if need additional width in a 4231 formation. And who can be hotter than a (probably) Italian girl wearing Milan jersey? 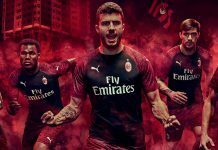 TWO Italian girls wearing milan away jerseys one size too small. what matters to me is the 3points from every game regardless of the formation applied. Belotti is my ideal player to step into the attack for Milan in a 3:5:2 formation. Striker striker striker they cry. While we forget a quality playmaker. The football brain presence here crying for strikers is astonishing. Would u mind suggesting a name? Names have been suggested all summer. @ink, is biglia not a good playmaker, what of bona, hakan, loca? It’s not about buying more players now, it shld be about blending dis crop of players to deliver! 433, 4312, 3412, dis are very good options! But most importantly winning mentality and flexibility…..
1) musa is much better footballer than roma. No way roma should start ahead of musa. Please dont let missplaced sense of sentimentality cloud ur judgement. @Sheva. You are Nigerian? Unbelievable! Best tplayer last season, Suso! Please add this number to your WhatsApp group chat of AC Milan. +27 763291933. 08176478694 Add me up Thanks ..